Many banks below US$20 billion or even US$50 billion of client assets will increasingly struggle to perform. Scale is now the imperative in private banking, at home and abroad  and it is the theme throughout this year’s PBI Global Wealth Summit. The 25th Private Banker International Global Wealth Summit and Awards brings together private banks, family offices, independent wealth managers and intermediaries in an active discussion of the key issues facing the industry. The informative and inspiring keynote sessions and informal conversations provide a setting for you to join other high-profile event guests and industry experts in engaging conversations, covering strategies, business practices and partnerships to meet the challenges of a changing private banking landscape. Celebrating its 25th anniversary, The PBI Global Wealth Summit is the longest continuously-running global summit in the wealth management and private banking sector, bringing together the most senior private banking leaders and experts to discuss key industry trends and topics in the private banking and wealth management business. The combined Summit and Awards dinner provides the opportunity for you to network with other like-minded professionals, met potential new business partners and hone your own institution’s strategy and competitive positioning. To request a copy of the agenda, click here. From the nominations, three institutions or individuals will be short-listed for each award. The final selection will be made by PBI’s judging panel, comprising independent specialists in wealth management and our editorial staff. Contact Phillip Baker at +65 6411 2189 or email Phillip.Baker@sg.timetric.com for further information. 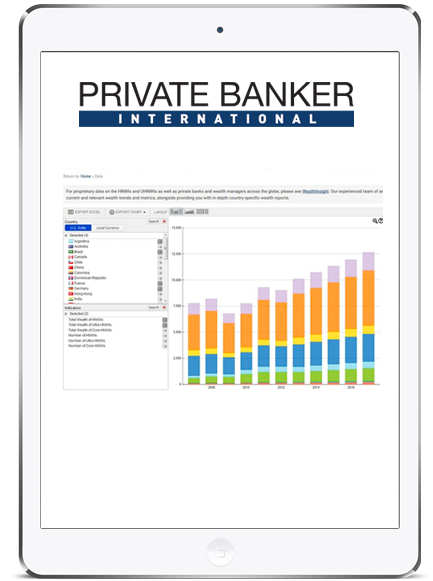 Private Banker International (PBI) is the leading journal for the global wealth industry. 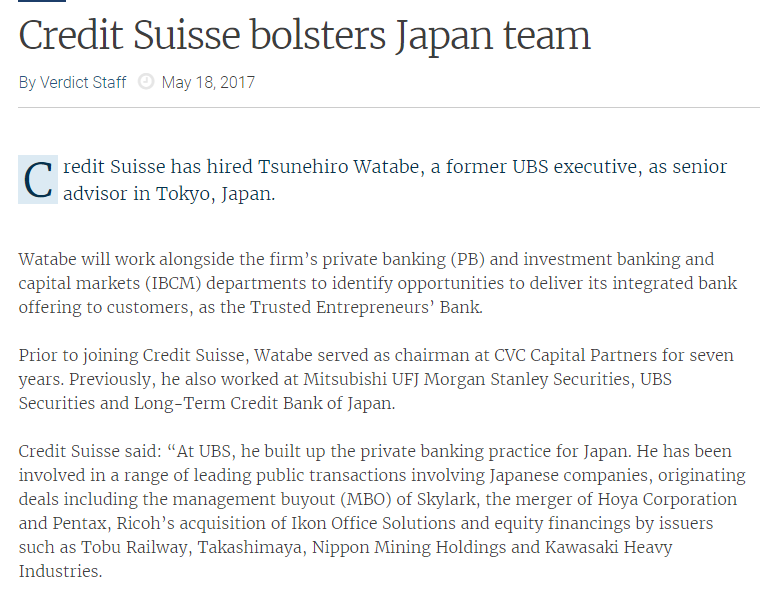 Launched in 1987, it is the longest established international wealth industry title and has won a reputation as a cutting-edge working tool for private bankers, relationship managers and other industry professionals. 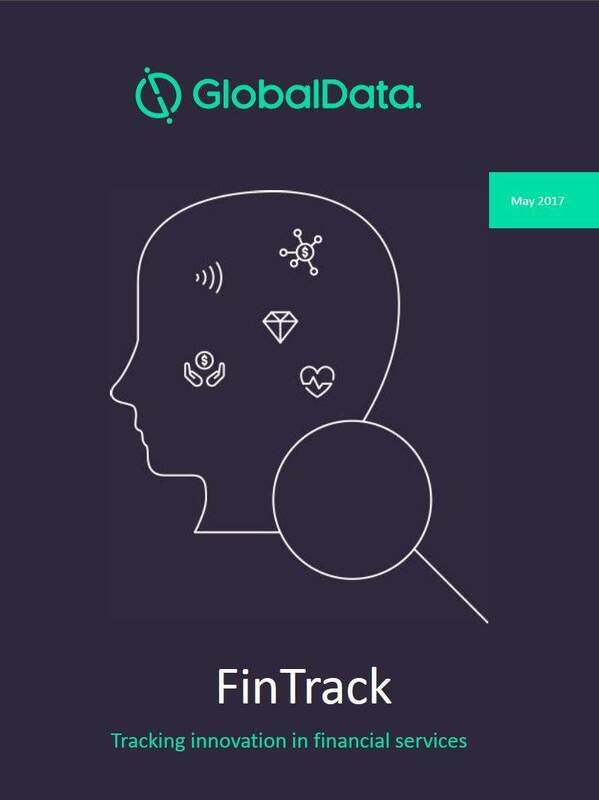 The 25th Private Banker International Global Wealth Summit and Awards is organised by Timetric  an independent provider of online data, analysis and advisory services on key growth economies and sectors. We provide integrated information services covering risk assessments, forecasts, industry analysis, and market intelligence. Serving the Ultra-Rich Client  Will the Family Office Really Penetrate Asia? Attendees from all areas of private banking and wealth management find value from high level interactive discussions, allowing them to assess the vision of industry leaders. The agenda is designed for CEO’s, C-Suite, Senior VP’s, Managing Directors, Directors, Relationship Managers, Investment Managers, Portfolio Managers, Product Managers, Fund Selectors, and Operational Leaders from Private Banking, Priority Banking and Wealth Management Institutions. To request for the agenda and attendance details, please email Paul.Jacinto@sg.timetric.com. Strategically located in the heart of the financial and arts districts along the charming Singapore River and Marina Bay, The Fullerton Hotel Singapore successfully blends its illustrious heritage with contemporary style, personalized service, and excellent dining to offer a true destination experience. Transformed from The Fullerton Building  a magnificent neoclassical landmark built in 1928, it was once home to the nation’s General Post Office, The Exchange and the prestigious Singapore Club  all of which played a pivotal role in the history of Singapore. The historic significance and monumental architecture makes the building eminently suited for a grand hotel. The Fullerton Hotel Singapore enjoys close proximity to the finest arts and entertainment belts in the city, the Raffles Place Mass Rapid Transit (subway) station is a few minutes’ walk away, a bus stop is just at our doorstep and the Singapore Changi International Airport is less than a 30 minutes’ drive away. Rooms and suites either overlook the sunlit atrium courtyard, or have balconies that open out to sweeping panoramas of the city skyline, Singapore River promenade or Marina Bay. Gain worldwide exposure and meet your marketing objectives by sponsoring the 25th Private Banker International Global Wealth Summit and Awards 2015. The 25th PBI Global Wealth Summit and Awards 2015 will welcome senior-level attendees from all areas of private banking and wealth management, including CEO’s, C-Suite, Senior VP’s, Managing Directors, Directors, Relationship Managers, Investment Managers, Portfolio Managers, Product Managers, Fund Selectors, and Operational Leaders from Private Banking, Priority Banking and Wealth Management Institutions. Timetric provides the perfect platform to target industry leaders and influencers and showcase your products and services in an exclusive forum. Our events allow you to ensure maximum return on investment and the opportunity to assert yourself as a leading partner within your industry. BNP Paribas Wealth Management is a leading global private bank, present in some 30 countries. Over 6,000 professionals, including 1,000 in Asia, based in every major financial centre, provide a private investor clientele with solutions for optimising and managing their assets. The bank has approximately EUR295 billion of assets under management (as at June 2014). With the bank’s strong Asian heritage since setting its foot in the region over 150 years ago, BNP Paribas Wealth Management has been a leading private bank in Asia for decades, withoperations in Hong Kong, Singapore, Taiwan, China and India (through its branches or other entities in BNP Paribas Group). BNP Paribas Wealth Management services its clients by empowering clients with a combination of global expertise and local knowledge, meeting clients’ needs with a broad range of wealth management and banking solutions, as well as putting the long-term relationship at the very heart of its commitment to clients. BNP Paribas Wealth Management helps secure our clients’ future by providing innovative and personalised management of their assets. The private bank’s expertise comes from an international team of 800 specialists dedicated to the creation, selection and monitoring of products and services to manage our clients’ assets. Advice on planning and optimising our clients’ wealth and personal finance. Solutions tailored to clients’ personal profile and location. Services for our clients’ everyday needs in all countries where BNP Paribas has a domestic customer base. Flexible management models (delegation, advice) that clients can combine as they wish. A comprehensive package of products, from the most traditional to the most innovative: discretionary portfolio management, funds, structured investments, alternative investments, life insurance, amongst many others. Solutions tailored to our clients’ financing needs for investment, personal projects or business plans. Innovative solutions to maximise investment returns. Clients of BNP Paribas Wealth Management benefit not only from the expertise of their dedicated private bankers but also all of BNP Paribas Group divisions: real estate, art, philanthropy advisory, corporate and investment banking, insurance, and asset management. BNP Paribas Wealth Management was awarded the Outstanding Private Bank in Europe and the Best Private Bank in Hong Kong (Foreign) by Private Banker International for the third consecutive year in 2014. The bank was also acclaimed the Best International Clients Team and the Best Philanthropy Offering in the WealthBriefing European Awards 2014. AG Delta is a leading provider of Digital Wealth Management Systems. Our innovations in the delivery of wealth services has been recognised through its adoption across the financial services industry in Asia, as the standard to connect wealth Advisors in private, priority and retail banking to a network of Issuers across all types of investment products. By leveraging the AG Delta technology, our clients can grow a highly scalable wealth management business supported by a robust operating environment that enforces compliance while ensuring each customer is serviced with the optimum efficiency. M&G is an international active asset manager, investing on behalf of individuals and institutions for over 80 years. At 31 March 2015 the firm manages over US$ 400 billion of assets through a wide range of investment strategies across equities, bonds, property and multi asset. M&G’s history is a story of investment firsts, from Europe’s first mutual fund in 1931 to the Inflation Linked Corporate Bond Fund in 2010. 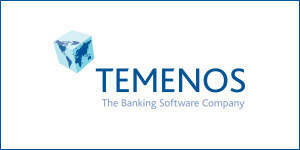 Founded in 1993 and listed on the Swiss Stock Exchange (SIX: TEMN), Temenos Group AG is the market leading provider of banking software systems to retail, corporate, universal, private, Islamic, microfinance and community banks, wealth managers, and other financial institutions. Headquartered in Geneva with 56 offices worldwide, Temenos software is proven in over 1,600 customer deployments in more than 150 countries across the world. Temenos’ products provide advanced technology and rich functionality, incorporating best practice processes that leverage Temenos’ expertise around the globe. Temenos customers are proven to be more profitable than their peers: in the period 2008-2012, Temenos customers enjoyed on average a 32% higher return on assets, a 42% higher return on equity and an 8.1% lower cost/income ratio than banks running legacy applications. With over US $8.5 Bn annual revenues, Infosys is a global leader in technology with strong focus on financial sector. Finacle, the industry leading universal banking solution from Infosys, addresses the core banking, e-banking, mobile banking, wealth management, payments, treasury, liquidity management and other requirements of banks across 84 countries. Finacle partners with banks to simplify banking and accelerate innovation, while helping renew their business and create new avenues to generate value. The solutions componentized structure and enterprise-class capabilities help banks boost the agility and efficiency of their operations as well as significantly improve customer experience across channels. Assessment of Top 1000 banks in the world reveals that banks powered by Finacle enjoy 50 percent higher returns on assets, 30 percent higher returns on capital, and 8.1 percent points lesser costs to income than others. Contineo’s subscribers includethe largest firms in the industry including Barclays, BNP Paribas, Goldman Sachs, HSBC, J.P. Morgan and Societe General among others. From our location in Luxembourg’s financial hub, Catella Bank S.A. operates as a specialist issuer of bankcards to the Ultra-High and High Net Worth markets. For over 25 years, our Partner Banks have entrusted us to issue exclusive Visa cards and MasterCards, with unparalleled worldwide acceptance, to their clients. Our Gold, Business and exclusive Black card programmes are available by invitation only to clients of private banks, wealth managers and financial intermediaries. Our card issuing solutions act as an extension of your business; you retain your client relationships but gain our expertise and 24/7 client support. We provide an end-to-end card issuing service that is simple, efficient and effective. We provide an extensive range of card alternatives to suit your segment; whether they require multi-currency options for frequent travelling or additional cardholders linked seamlessly to the same account. Using our discreet “Capitol” branded solution allows you to launch your card programme with ease and peace-of-mind. Should you decide to offer your own branded solution we will guide you through the design process to ensure that your designs are a perfect reflection of your brand and its values. 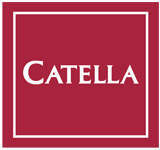 By outsourcing to Catella, you benefit from our proven, world-class solution whilst reducing your costs and risks and enhancing your client relationships. Parmigiani Fleurier was created in Val de Travers in 1996 and has based its values on authentic Haute Horlogerie ever since. Thanks to the Sandoz Family Foundation industrial watchmaking centre, which is available to it as a priority, in the space of a few years the brand has gained a unique credibility in the history of modern watchmaking. Parmigiani Fleurier is built on strict devotion to the highest aesthetic and mechanical quality, and on its expertise in watchmaking and mastery of mechanical grand complications. By remaining faithful to its founding values, such as the restoration of masterpieces of the watchmaker’s art, it is one of the few firms to preserve an image of authenticity in the eyes of the public. That is why, even today, at Parmigiani Fleurier, a restoration workshop is dedicated exclusively to restoring objets d’art from past centuries. This provides a source of inspiration and knowledge for its neighbouring Haute Horlogerie workshop, where cutting edge watchmakers assemble exceptional mechanical complications from the Parmigiani Fleurier collection, often over several months. Being an independent company, Parmigiani Fleurier has been able to invent its own style. Whether they feature simple or grand complications, Parmigiani’s collections are instantly recognisable thanks to their unique stylistic motifs. An extensive range of men’s and women’s collections, all equipped with the 30 house calibres, are the basis of the brand’s success today. The Parmigiani Fleurier Manufacture strives on a daily basis to ensure that the brand’s watchmaking dreams become reality. The most prestigious awards in the Global Private Banking Industry are to be announced by senior wealth journal, Private Banker International, on October 16th this year at a glittering awards gala dinner to be held at the Fullerton Hotel in Singapore. These accolades for the best and brightest wealth management institutions will be unveiled at the Wealth Summit being held by Private Banker International (PBI) in Singapore, an event now in its 25th year. To request a nomination pack, please email Paul.Jacinto@sg.timetric.com. The closing date for nominations is August 19th 2015, and should be submitted to awards@sg.timetric.com. This year, we have curated sessions based on discussions with leaders of Private Banking institutions globally. We will be covering the agenda as below in a keynote/panel discussion style format, allowing for an active engagement from all our attendees. Many banks below US$20 billion or even US$50 billion of client assets will increasingly struggle to perform. Scale is now the imperative in private banking, at home and abroad. What are the best survival tactics, from choosing the boutique approach to building size through M&A? Robo-advisers, platforms and digital banking start-ups are all crowding into the private banking space. It’s a way to supplement costly advisory workforces and also tackle cost-control issues. But here’s the poser: how do banks effectively use technology to fight bank with new technologies and channels. 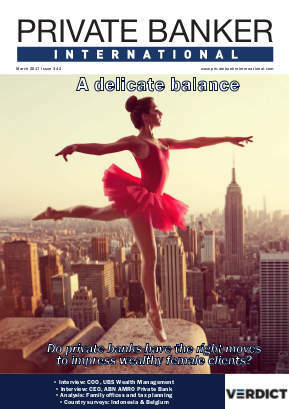 And the key issue  how to balance a proper client digital experience with direct private banker contact, optimizing longer-term frontline cost control. A closer look at the new-generation, self-made HNWs; How do they prefer to be serviced? Is an investment bank needed to meet the disparate financing needs of next-generation entrepreneurs? Establishing and deepening relationships with the savvy, informed, and demanding next-generation client. Historically, Asian clients have been unwilling to pay fees for discretionary management or advisory services. How do we make inroads into the region’s clientele with a proper, locally-targeted range of services and products? At the top of the menu  underline the risk mitigation and diversification that a proper portfolio management approach can produce. 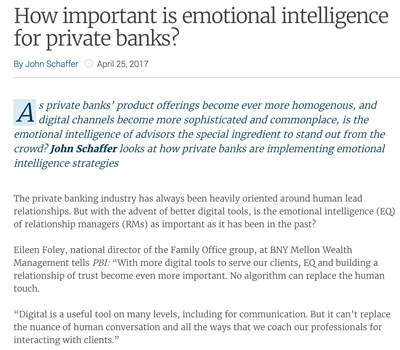 The Family Office or Private Investment Office is making inroads into the traditional clientele of the private banking industry. Should banks set up dedicated arms to cater for the ultra-wealth client and families who want a completely segmented approach to their own complex affairs? This is still an untapped sector for Asia  out of an estimated 3,000 single family offices worldwide, only three percent are based in Asia-Pacific.